Juliza is going through a phase. You know the one I’m talking about. It’s the one when your toddler turns from a cute, cuddly ball of love into a tiny dictator who has found her voice and knows how — and when — to use it to maximum effect. This dictatorship doesn’t take a break, either. From the moment she wakes up until the moment she goes to sleep, she’s telling us all what to do, and what she is and isn’t going to do. Apparently, when I prayed for patience, God decided to give me an endless supply of situations in which to practice being patient. This pattern holds true when we go to brush our teeth in the morning. Since before Juliza turned two, we’ve been brushing our teeth together in the morning. At first, this involved me physically brushing her teeth for her. Soon, it evolved to her “brushing” them herself. Notice “brushing” is in quotation marks. Because her idea of brushing mostly involved sucking the toothpaste off the brush. Then she decided that she didn’t feel like brushing at all. I promised treats if she’d brush her teeth, from delicious fruit snacks to trips to the park. The snacks were somewhat effective, if counterproductive to the whole tooth-brushing process. Some mornings, I just held her between my legs and brushed her teeth with her kicking and screaming. Neither of us enjoyed those days, and we usually both ended up equally frustrated. That led to other mornings, when, not wanting to fight with a stubborn toddler, I just avoided the whole process altogether. I know. I know. Bad mommy. 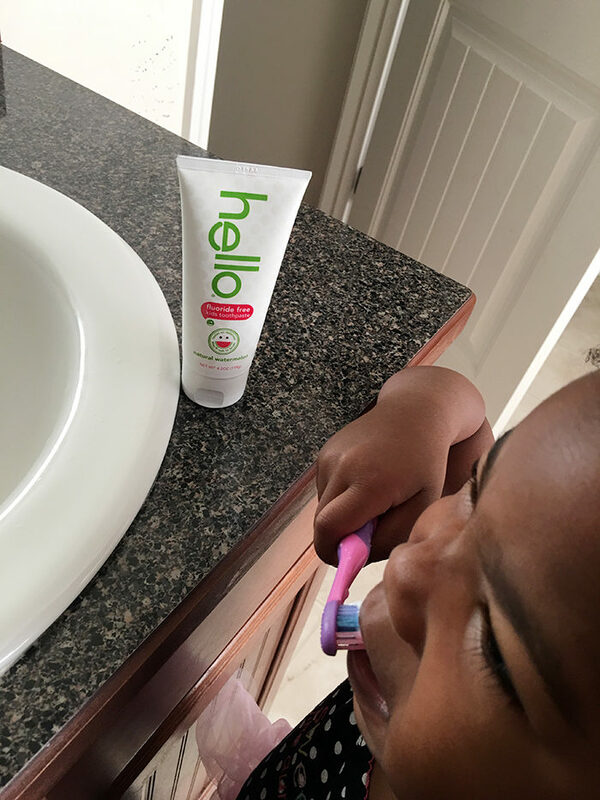 Things changed quite a bit once we started using Hello products fluoride-free toothpaste. We are still not at the stage where she quite understands how to spit when she’s brushing, so we need toothpaste sans fluoride if she’s going to swallow it. 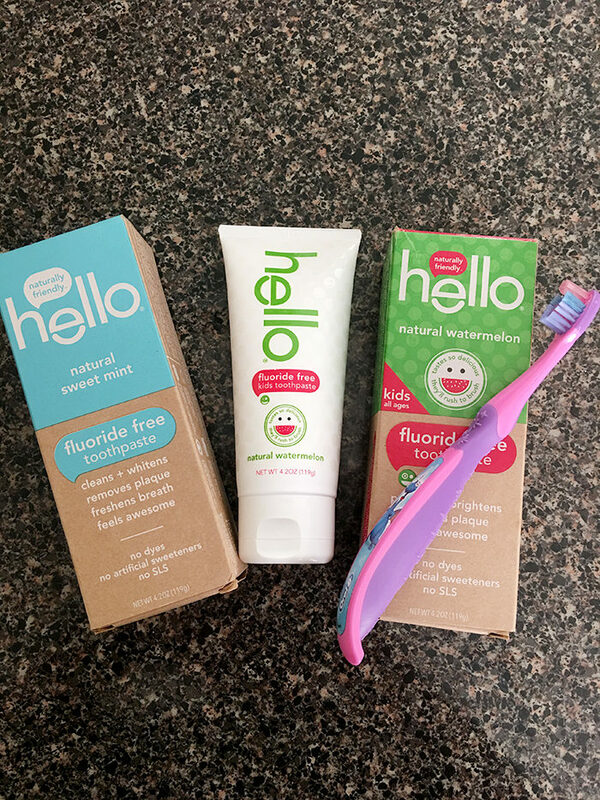 Hello Products not only has fluoride-free toothpaste — it has fluoride-free toothpaste that actually tastes good. And yes, I tried it. Juliza loves the watermelon toothpaste. And because of the style of the tube, which sits upside down when not in use for easier application, I can allow Juliza to squeeze it herself without too much mess. Because there are still messes sometimes, but not nearly as bad as I imagine they’d be with a traditional toothpaste tube. Giving my baby dictator space to be a baby dictator, and reminding myself that this phase will pass eventually. And ice cream. Copious amounts of ice cream. For me, I mean. Because I don’t drink wine. Don’t worry. 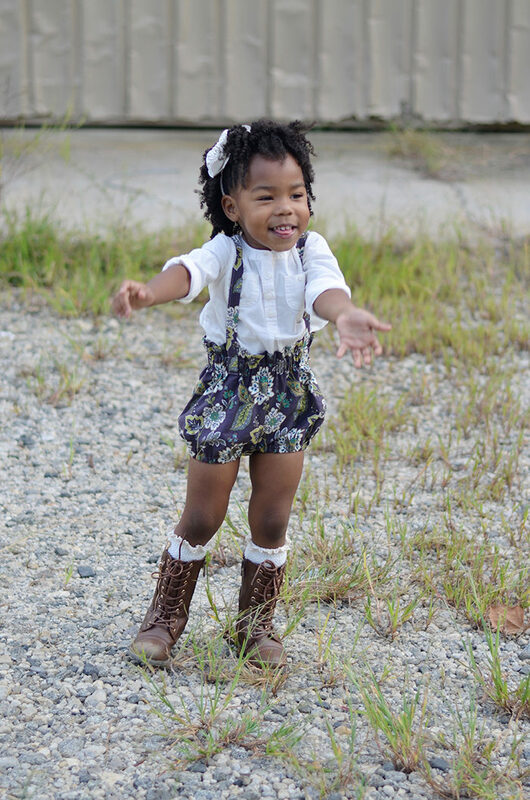 She makes up for it with all this cute.